I have officially entered the 3rd trimester (crazy!) and it seems that the weeks are flying by! Partly, I think that it's because we've gotten back into a schedule and also because the weather here has been so nice. Although I'm not used to 75 degrees in Jan/Feb, I really can't complain--especially when I know that hot weather is around the bend! 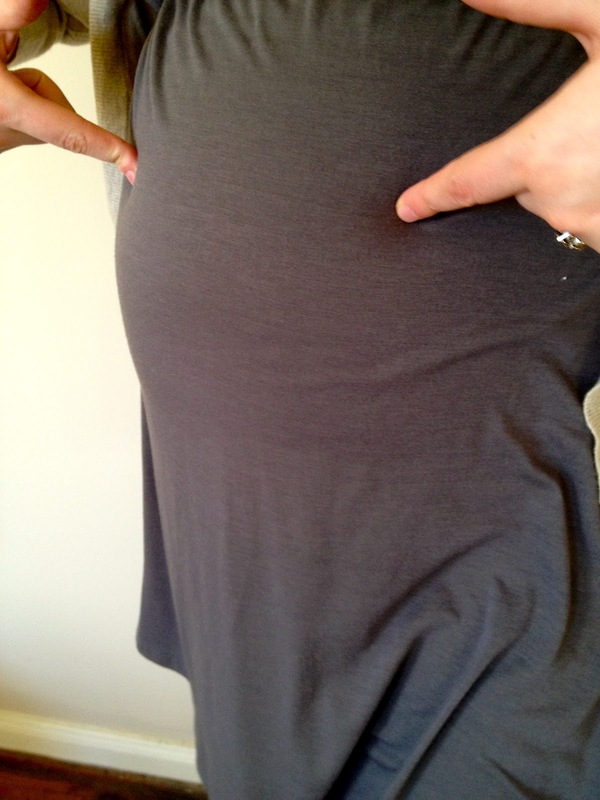 Want to see the bump? Baby stats: He's as big as a cabbage and almost 3 pounds--uffda! What's new: People are starting to ask me when I'm due and also pat the belly. So, I guess I've moved past the "I wonder if she's pregnant...?" stage to the "She definitely looks pregnant!" stage :) I actually don't mind it, and I'm learning to better embrace my growing belly! Symptoms: Just stretching muscles and feeling a little sore. I have actually felt better in these last few weeks than I had a few weeks previously, so I'm thankful for that! Stretching and relaxation really helps me feel better if I do start feeling tight and achy. Cravings: Fruit, fruit, and fruit! Other than that, I am eating normally--I don't have any I-must-eat-this-now moments. What I miss: Sleeping well. I have good nights and I have bad nights, but I haven't slept a solid night in months. I know that it will only get worse, but I do really miss not getting up 5 times to use the bathroom!